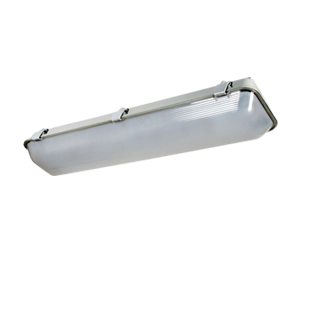 Omega LED light is an LED based vapor proof light, providing flexible mounting options including recessed, surface and suspended using a simple mounting kit. It is made using the latest technology and consumes much lesser energy compared to fluorescent light bulbs. 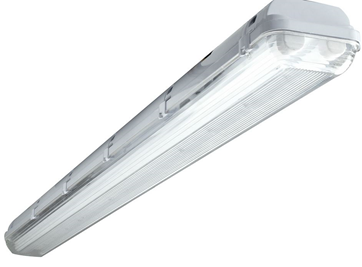 Due to its energy efficiency and higher lighting capacity, it is being largely used in various industries such as food & beverage, industry, warehouses, indoor parking, army barracks, corridors, walkways, residential apartments, railway stations, airports etc. We are a renowned Omega LED Lights Suppliers in UAE, rendering the needs of various clients and looking forward to increasing the client base through quality products and better services. Owing to its qualities like energy efficiency, reliable performance and weather resistance, our range of Omega LED Lights finds clients all over UAE.